That’s where we come in. We have the tools and experience to make the most of your Manatee rental property. Not only can we help maximize your return on your Manatee investment property, you turn the management of the property over to us and let us take care of the hassles. Every day your Manatee rental property sits vacant, you are losing money. 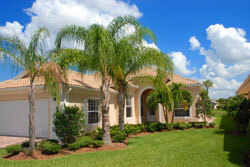 Are you aware of the most effective means of marketing your Manatee rental property? Unlike many others out there in this economy, we have the skills and experience to best protect you in a rental transaction. We are thorough, consistent, and customer-oriented. 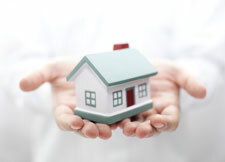 We know how to run the business that is your Manatee investment property. Mount Vernon Property Management, Inc. complies with all state, local, and federal Fair Housing laws and the Florida Landlord and Tenant Act in Manatee property management. Manatee County is a county in the U.S. state of Florida. As of the 2010 census, the population was 322,833. Its county seat and largest city is Bradenton. The county was created in 1855. It was named for the Florida manatee (commonly called a "sea cow" and distantly related to the elephant), which is endangered and Florida's official marine mammal. Manatee County is included in the North Port-Sarasota-Bradenton, FL Metropolitan Statistical Area.